Fastcoin, (symbol FST) announced on July 4th, 2013 and works separately from a reserve bank or single administration. You can mine the Fastcoin decentralized digital asset, which is done so using the Scrypt algorithm along with the proof of work (pow) consensus. Fastcoin are on social networks such as Facebook and Reddit, so check them out to stay up to date with the latest news. We don't have any cloud miners listed for Fastcoin yet, check back soon! We don't have any exchanges listed for Fastcoin yet, check back soon! We don't have any wallets listed for Fastcoin yet, check back soon! 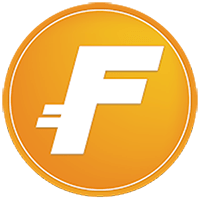 We don't have any debit cards listed for Fastcoin (FST) yet, check back soon! We don't have any price charts listed for Fastcoin yet, check back soon!